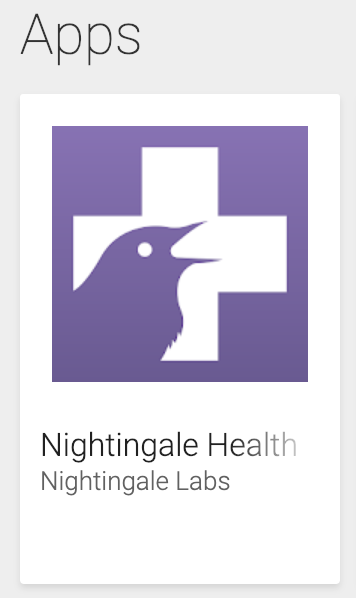 The Nightingale app allows users to login using your Gmail or any other email and password combination. We recommend using gmail as it its easier to use and you will not need to type in a password for every login. NOTE: If you have not received an invite from a facility manager, the app will not allow you to login. Use this toggle to begin recieving notifications. Access it from the menu button in the upper left corner of the app. This will allow the Nurse to turn off facility notifications when they leave the facility or for other purposes. To claim an alert simply tap on the new alert and press the claim button. This will assign the alert to you and prevent other Nurses from claiming that alert. Once you have claimed an alert and arrived at the residents location, you will need to confirm arrival. This is done by inputting the following sequence into the Nightingale Resident Button. The sequence is a Long Press. A Long Press is to hold the the Resident Button for at least 1.2 seconds and then releasing. You will see alert change from a Claimed status to a Confirmed status in the app. After confirming arrival and performing the service the resident requests you will need to resolve the alert. Viewing the alert in the app you can tap on the resolve button. Select a service performed and confirm. This will place that alert in a Resolved status and allow you to receive additional alerts.